Dovetailed Launches 3D Food Printer That Uses Spherification to Create … Edible Fruit! 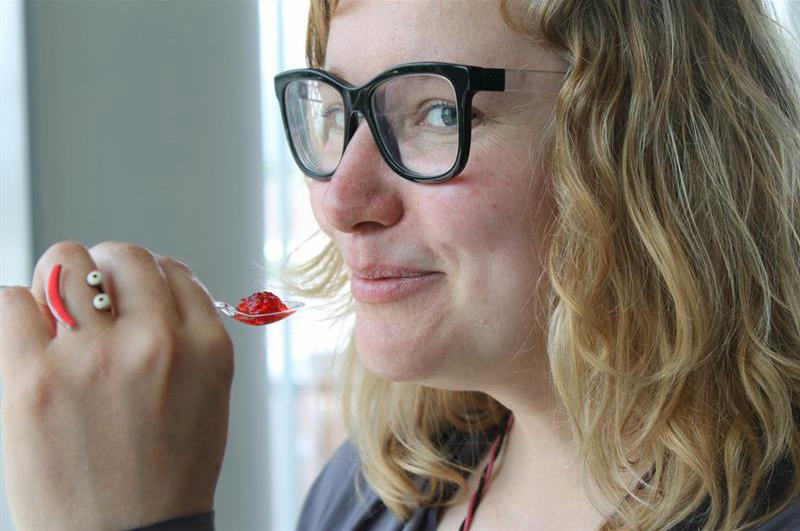 #3DxFood #3DThursday #3DPrinting « Adafruit Industries – Makers, hackers, artists, designers and engineers! Cambridge design company Dovetailed is today launching its 3D fruit printer, creating ‘fruit’ you can eat. The company, which is working with Microsoft in Cambridge, says it takes just seconds to print an apple or a pear, or any other type of fruit. The printer uses a molecular-gastronomy technique called spherification. It combines individual liquid droplets with different flavours into a fruit shape. It is aimed at chefs, foodies and anyone interested in making creative dining experiences. No specialist knowledge of cuisine or molecular-gastronomy is required, and, the fruit produced is all organic.